Ok, hands up who would miss SsangYong if they gave up making cars? Hmmm. Direct democracy isn’t going to work here. So I’ll just talk trash about this ageing Eurasian and if there is a SsangYong enthusiast out there, let’s hear the other side of the story. Fairly unbalanced, as the tagline should say. You have been warned. 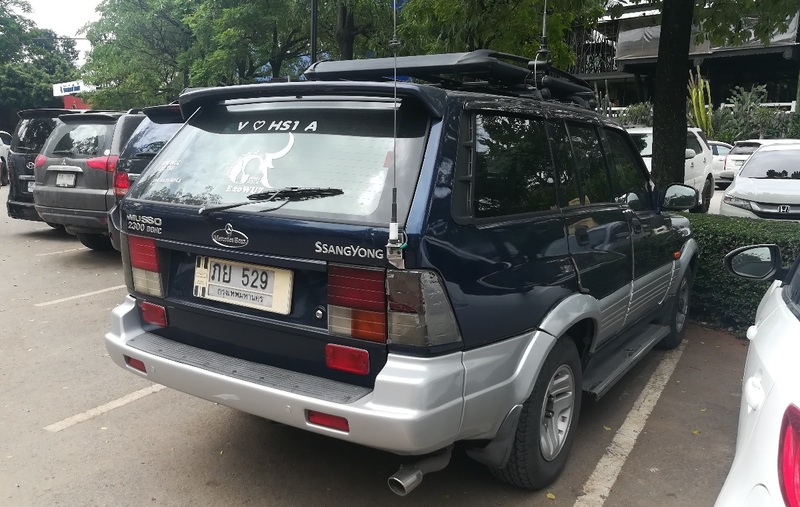 So this is a twenty-ish year old SsangYong Musso. Not too uncommon in these parts, but perhaps some of you may not be familiar with this version. This car was the result of SsangYong Motors’ joint-venture with Daimler, as we can literally see everywhere. I can’t blame them for flaunting that three-pointed star logo, but that does rob the car of any sense of its own identity. The front end is not that bad, considering the era. 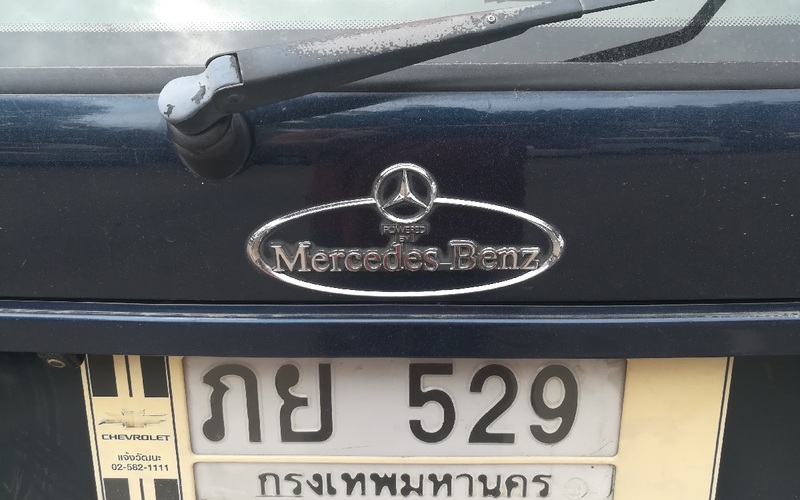 Not sure if that Mercedes logo was always there, of whether it was put there by the Thai importer / distributor, Mercedes-Benz Thailand, to boost sales, or to make the Musso fit in better with the rest of their range. This probably lasted until the 1998 restyle. The tailgate’s M-B star with “Powered by Mercedes-Benz” might have lasted even longer. I’m pretty sure the Vietnamese and Malaysian Mussos I’ve seen have three-pointed stars here and there, too. The marque was formed out of two Korean automotive businesses, Keohwa, Ltd. and Dong-A Motor, that merged in 1983 and were then taken over by the SsangYong (“Double Dragons”) conglomerate in 1986. SsangYong soon buying out Panther Westfields and had a go at re-badging those for a bit. 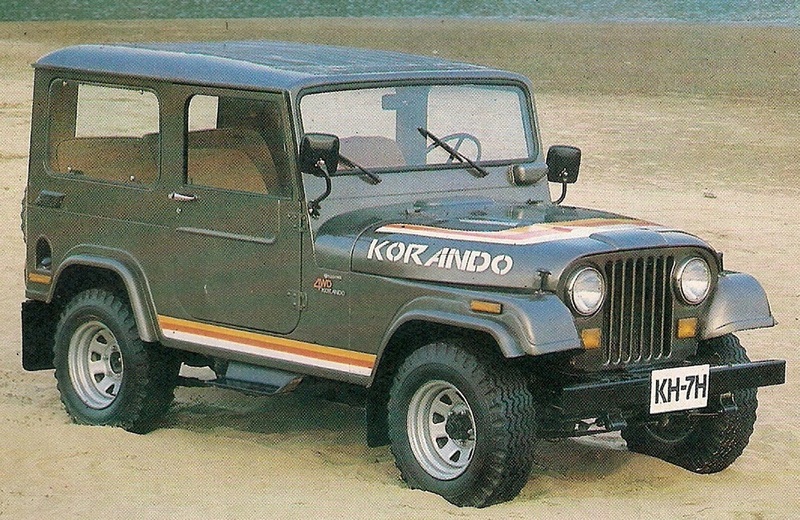 But the Korean factory’s bloodline was pure Jeep (with AMC or Isuzu engines), so a cut-price Cherokee was designed. 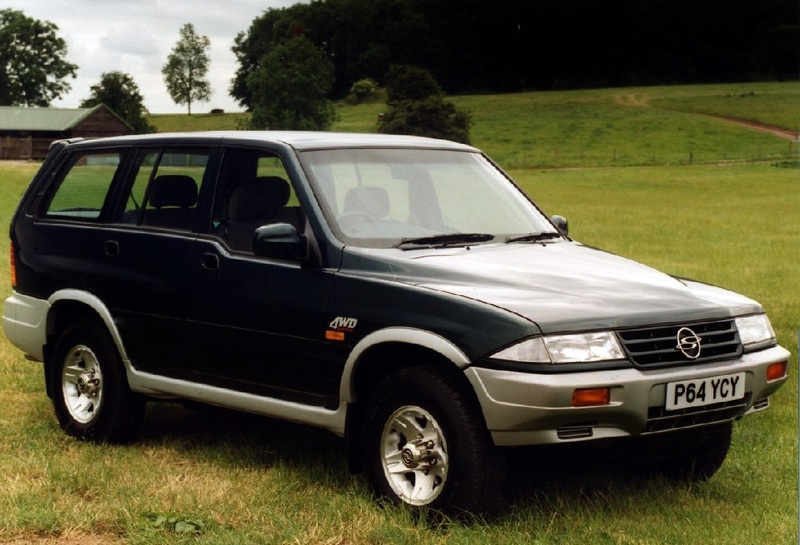 In 1988, the first SsangYong for genuine civilian use was born. The Berlin Wall collapsed in embarrassment very soon after this flimsy, half-baked imitation SUV was foisted upon the world. At least, that’s one theory I’m willing to entertain. Now, this SsangYong I’m familiar with! In 1991, SsangYong hooked up with Daimler. 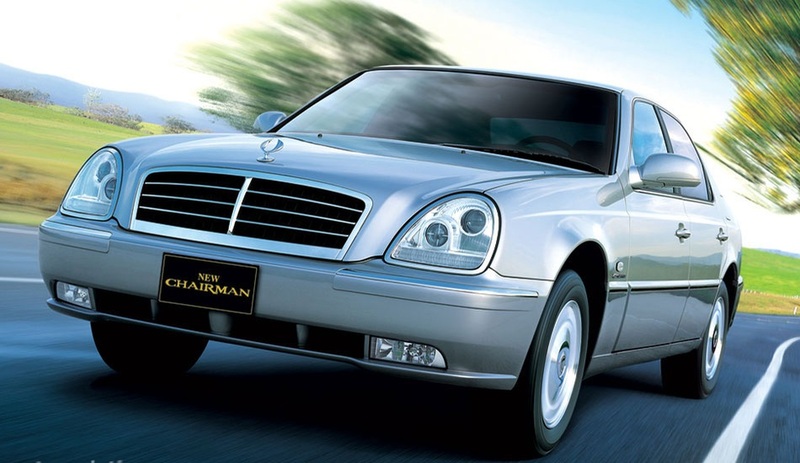 It was a pact, not a takeover: Benz provided engines and transmissions, plus M-B dealerships in certain countries, SsangYong would design the shell and build the cars, as well as the engines (under license). Other than the 2.3 litre 4-cyl. petrol engine gracing our CC’s engine bay, the German partner’s OM601 and 602 (4- and 5-cyl.) Diesels, as well as 3.2 litre M104 straight-6 could power the Musso, though not all engines were available when the car hit the streets of Seoul, in the spring of 1993. Incidentally, Musso means “Rhinoceros” in Korean. Another instance where the acronym ‘WTF’ is most appropriate. They should just have called it “SsUV,” really. Three years later, SsangYong followed that up with the all-new 2nd generation Korando, a small two-door 4×4 that looked like the love child of a Suzuki and a series 1 Morris Minor, which sound nicer than what it actually looked like. Compared to the old Jeep-based Korando, this was cheap and (thanks to M-B) reliable enough to increase SsangYong’s market penetration. But where were they selling these things, anyway? In a word: anywhere. 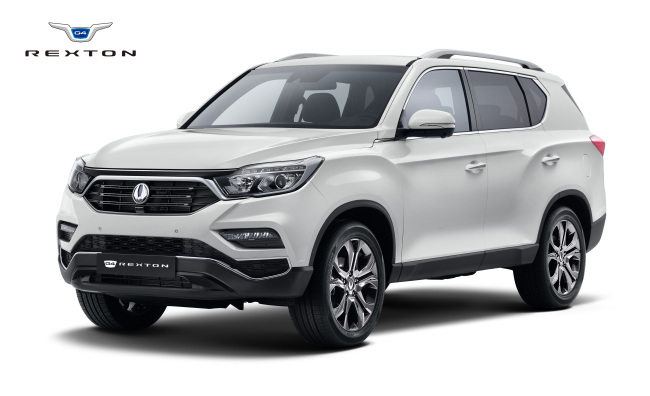 The Benz tie-up allowed SsangYong to use many of M-B’s in-country dealer networks, opening doors and wallets throughout the developing world, but also a number of European markets, such as Spain, Iceland, the UK and most of Eastern Europe. 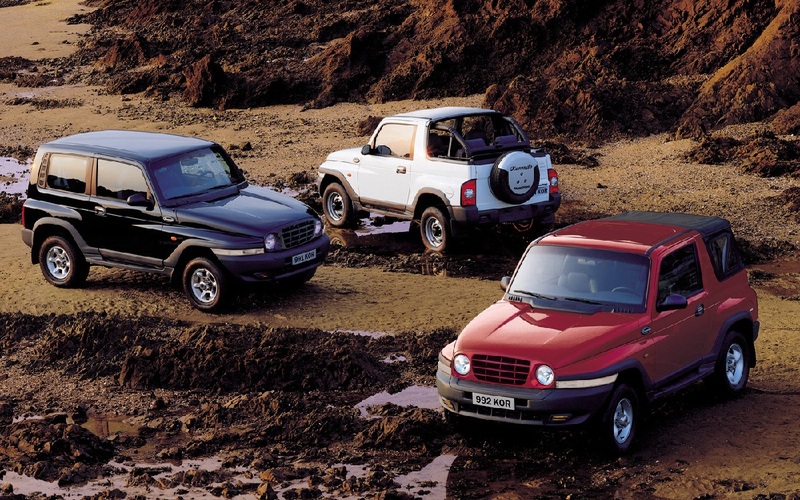 SsangYong was a latecomer, but the world was hungry for cheap 4x4s, especially one with Mercedes mechanicals. I picked 1997 for our feature car, but it could be a couple years off either way. It’s an important year: the ’97 Asian Financial Crisis hit the Korean chaebols very hard and it killed vehicle sales. The SsangYong mothership broke up and sank in a matter of months. SsangYong Motor, one of the conglomerate’s most promising and valuable industrial assets, fell into the lap of Daewoo, who promptly rebadged the SsangYong range and put their trademark waterfall grille on the Musso. I’ll show the Big Bug-eyed Benz of Busan, but I’ll spare you the Rodius. This was only an eclipse: SsangYong regained their independence in 2000 — as the Daewoo conglomerate also tanked — and continued to grow. 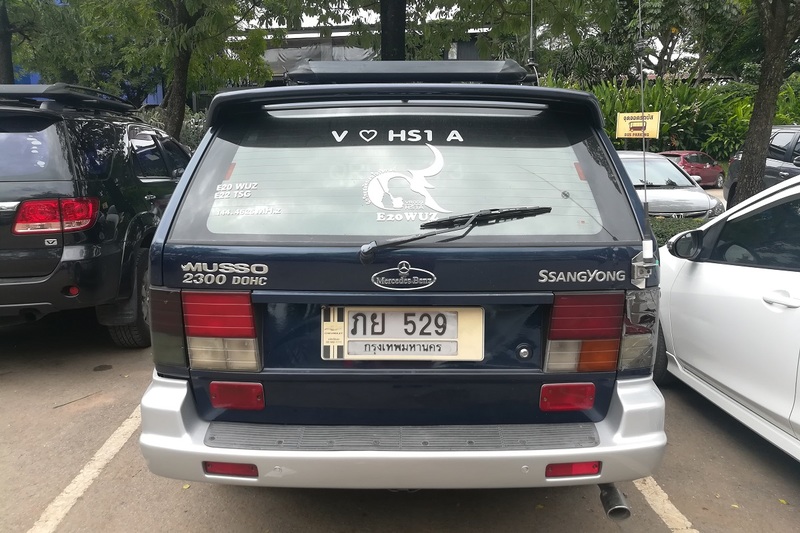 Ssangyong had raided Daimler’s parts bin, helping themselves to the W124 unibody, several transmissions and other stuff to create a more complete range, often with highly questionable results in an attempt at creating a brand identity. But in Africa (where I was Chairmaned around, in a car like the one above, about a decade ago – my only first-hand SsangYong moment), the Middle-East or East Asia, SsangYong’s low price and high bling content was proving to be a winner. Even in Europe, SUV sales were healthy. In 2004, Shanghai’s SAIC bought a controlling share and steered the company into receivership within five years. (The 2008 Financial Crisis did help a bit…) By 2011, SsangYong was bought by Indian automaker Mahindra. Second series (2009-2011) TagAZ RoadParter, the Musso’s final avatar. Through it all, the Musso went on, but the design was starting to look pretty old by the early years of the new century – and not in a gets-better-with-age, Mercedes G-Wagen sort of way. With an admirable sense of continuity, the Musso ended as badly as it started. Korean production was halted in 2005, but the Musso had gone native: they were built in China, Iran, Indonesia, Vietnam… and finally, where Korean designs go to die, in Russia. The TagAZ RoadPartner, built on the shores of the Sea of Azov, went through the obligatory facelift, making it look a bit like a contemporary GAZ product. But that hunched beltline and those fender bulges still give it away. Production ceased in 2011. So the 3rd or 4th largest Korean automaker (sounds like something out of Flight of the Concords) that is SsangYong is still with us today, a quarter century and quite a lot of bankruptcies since the Musso debuted. Their global image is still abysmal – near the Proton category, though I don’t know how they’re perceived domestically. European sales hit a peak in 2006-07, then collapsed. The current trend is going upward again, but with only 0.1% share of the EU market, SsangYong still has a very small footprint. Asian sales remain strong, especially now that the marque is established in China. A North American assault is not unlikely in the near future, according to rumour. And as regards the interior, judging by this car, it was just as nasty (yet durable) as the rest of the car. And that is the issue: SsangYong has proven incredibly resilient. By any logic, a marque with such a muddled identity peddling garish cut-price Benz leftovers should have died out with the DaimlerChrysler era. Ssilly nameplates with overtones of Il Duce and Mao Ze Dong could have been reborn as the Mahindra Ceausescu, the Daewoo Generalissimo or the FAW-Roewe-Chery Thingamajig Deluxe by now. We’re missing out on potential belters here. 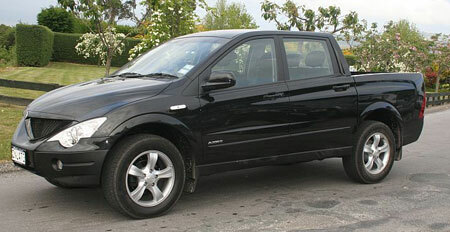 New SsangYong Actyon Sports pickup and 20-year-old Crown. Picture taken in Rangoon, about 3 years ago. SsangYong’s current range seems to have gone a bit more mainstream, which is a risky strategy. The new Rodius is less odious, but the Actyon, the Kyron and the Chairman are, respectively, k-put, six feet under and receiving the last rites. The Chairman W series is still technically available, but with only 517 domestic sales in 2017, the old girl is not going to go on much longer. The Tivoli model is the current breadwinner – over 55,000 domestic sales last year, i.e. about half of all SsangYong sales. I have no interest in these cars whatsoever. Go ahead and google them, I’ll wait. Who would buy one? So yes, delete you account, SsangYong. Bad name, ugly cars and zero charisma. Ditch the Mercedes heritage, get rid of that stubborn case of Rodius Atrocius (apply once three times a day for one week, come back and see me if it doesn’t go away), facelift the rest and just become one with your Indian savior. Mahindra sounds way better. Anything else would, too. 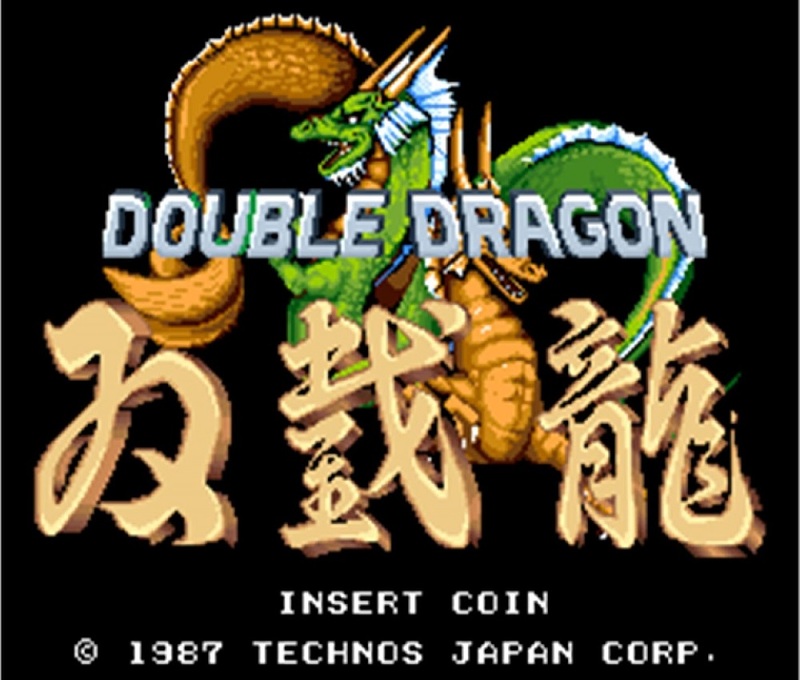 Keep the SS-DoubleDragons badges for the domestic market if you must, but please, keep your horrid styling and hissing Ssurname off the rest of the world’s lawn. I lived in Nuremberg close to Stadtpark for a few years. There was a very oily and odious guy who lived on the same street as I did. He specialised in ‘guerrilla marketing’ so he thought the abominable SsangYong Actyon Sports in black really grabbed the attention. My neighbours didn’t agree with him. That vehicle with many adjectives in synonym of word, ugly, was subject of barbaric attack by the neighbours. Not one day would the Actyon Sports be left alone. Its advertisement placards and numberplates were torn off from the body many times. Shattered eggs adorned the black paint and baked into nasty film one hot summer day. The cargo bed cover was broken off many times and trash tossed in. A brilliant graffiti tagger sprayed pink IDIOT and up arrow underneath the driver’s door. Neigbhours, especially the elderly walking their dogs to the Stadtpark, hassled him in person about his choice of vehicle. Police asked us if we witnessed the atrocity against the poor sap. Yeah, haha, right, we ‘didn’t see anything. Sorry.’ The relentless abuse continued for a few more months until the owner wised up and traded for something more pleasant to the eyes. These were the guys who made the even far worse looking Rodius. At the time, I told my girlfriend if any company should ever been fined for visual pollution, these guys were first in line. Well, it looks like it would be a…useful vehicle like the Pontiac Aztek. And now we see where the inspiration for the design for Prius 2.0 and 3.0 came from. The Actyon sells or at least is displayed for sale in New Zealand, there is or was a one make circuit race series for these utes its kinda fun to watch poorly handling utes being driven as fast as they will go around a track, they arent fast or anything exciting but a wet track can be entertaining viewing, Cheap ugly utes ans SUVs these Ssangyongs are on the roads in small numbers even the occasional Rodius can be seen and once seen cannot be forgotten. Despite strict quarantine laws, we got them here. As is the usual tale, it only took two to escape from the facility, and soon enough you could see them everywhere. Despite assumptions that they would not survive in the heat and dust, they only peeled and faded a bit and proved very hard to eliminate (as the Actyon mutation proved). They have frightened a lot of people in their time. I believe they introduced the Chery brand in about 2010 as a predator, then Opel in 2012-13, but both of these failed (presumed eaten by the Korean monsters) yet the remnants of Ssangyongs still infest damper and darker regions of the cheapo caryard space. What’s even more extraordinary is that the Musso was for a short period seen all over Toorak. 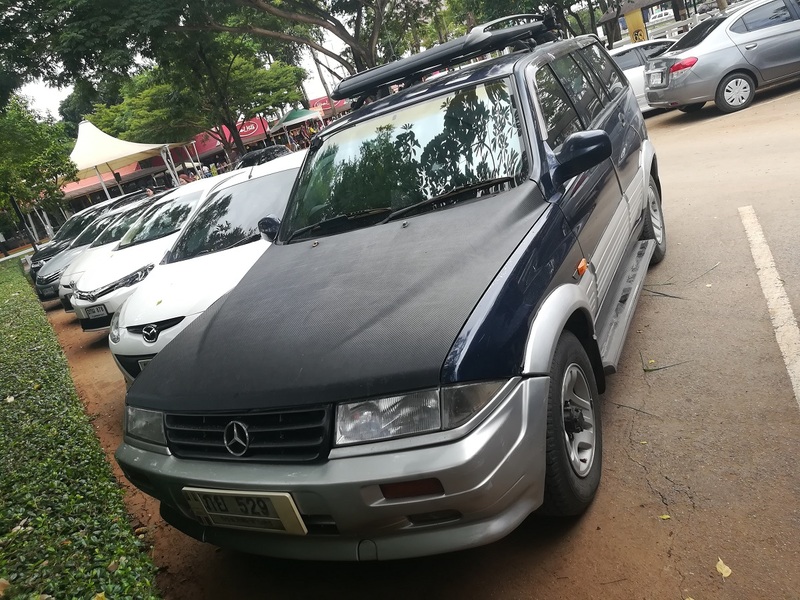 Back before Mercedes-Benz (and most of the other prestige brands) had a people carrier/SUV in oz, that engine was the best this demographic could aspire to. I could not understand its proliferation in these environs until I was educated to the fact by someone in the press. Had one during a trip to Shangri-La near Tibet. I thought it was some strange model we didn’t get in the US. When it overheated in the mountains, we had to let let the engine to cool to add water. I noticed a data tag said built in Korea by Ssang Yong. I left Korea when the Korando was new. I had no idea SSang Yong lasted so long. They weren’t the only Korean pretender. Hyundai built a European Ford for years. Their little V6 made them a favorite of the Korean Highway Patrol. 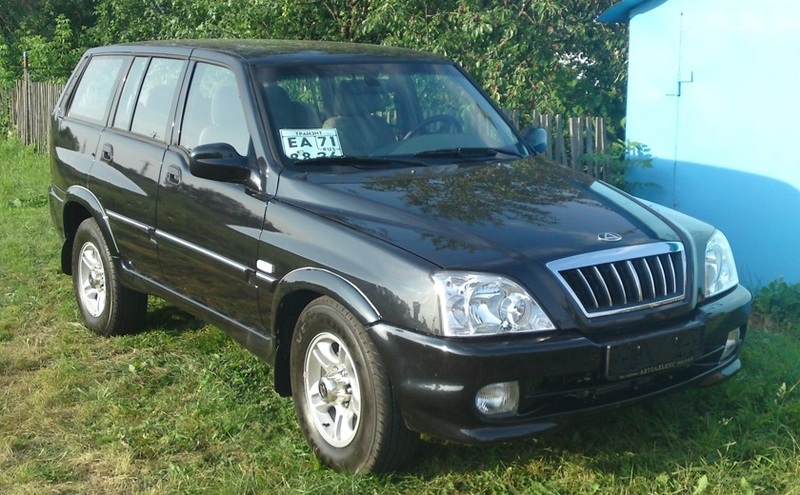 The follow up “Rexton” SUV had those big dome headlights and grille like the Chairman in the photo, they sold decently in Russia. People like the idea of sturdy Benz motors/transmissions in a more affordable body-on-frame wrapper. I’ve seen some of the Mussos and pinched-nose Korandos around as well, although the Siberian part of Russia is mostly dominated by Toyota Land Cruiser/ Land Cruiser Prado variants. I just googled the Tivoli, it’s not all that bad, it looks like a cross between a Mini Countryman and an older VW Rabbit with detail touches from Renault. From the pictures it is hard to get an exact idea of it’s size so it could be a compact hatchback or it could be a small SUV….or a compact-sized crossover. I looked up the dimensions, it’s 4″ shorter in length and within an inch in all other dimensions to a Honda HR-V.
Best image of the year! +2, though the image of the Mahindra Ceausescu runs it a close second. Very amusing! I am SseriousS…and don’t call me Sshirley. The Musso and Korando were actually quite common in their days. A cheap alternative to the Japanese SUVs from Toyota, Nissan and Mitsubishi. They had rear window stickers to point out there was a Benz diesel inside. Later on there was the bigger Rexton SUV. I can’t rememember ever seeing one of thes models without a van-conversion/registration as a commercial vehicle. They are still being imported. The current models are Tivilo, XLV, Korando, Rodius, New Rexton and the Actyon Sports. I have travelled to a few countries where some of these models were sold. I was always surprised to see that people actually bought more than a few, especially Mussos in Europe, but then people bought Azteks and Charades in the US. The Rodius though is truly odious. I think the belt line kick-up on the Musso may have inspired one of the Honda Odyssey designers. I was trying to read this quietly in the house this morning while relatives are still trying to sleep, and I kept having to suppress loud laughter. One of your finest pieces, T87. And now, I know sso much more about a vehicle I’m ssimply probably never going to ssee an example of in person. The Mercedes connection on this thing reminds me of those name brand knock-off colognes one can buy for like $10 at the neighborhood drug store. Why do you hate these vehicles so much? I think they make for quite an interesting history of a brand, with quite an amazing staying power – what other brand with designs this questionable has survived more banruptcies? I always thought of the Musso as a sort of more rugged first generation M-Class (judging from the pics that is also where its got its front seats from). At a time when Mercedes was putting out trash products (like the Alabama M-Class) for top dollar, the Musso was not a bad offer at all. Interestingly enough, I see more if these old Mussos around Berlib than said first gen M-Class which must have outsold the Musso by at least 30 to 1 in these parts. “Alabama M Class” sounds like a jokey name for a battered Blazer with glued on chrome arches or something like that. Like a “council estate facelift”. I knew just two things about SsangYongs before reading this: 1) That they existed, and 2) That they were relatively common in Iceland (only due to a previous CC article). Beyond that I knew nothing, so this was quite informative, and a blast to read. I’m surprised that Mercedes-Benz consented to SsangYong using Mercedes logos at all… whether they were official SsangYong factory features or added by an importer, I’d think that all these badges would have gone far beyond what the Benz folks had in mind when they agreed to a partnership. And the “Powered By” script on the rear trunklid must be the smallest lettering ever to have made it onto an automotive badge. The badging reminds me of those questionable “20 ribeyes for $30” tents, which say “compare to OMAHA”…where “OMAHA” is in huge letters and “compare to” is in 12-point font. OK, I actually kind of like the styling of this one. And you have to love the “Powered By Mercedes-Benz” badging. The best or nothing? Perhaps this might have found a market among jazz fans in the US. Vido Musso was an Italian-born tenor sax player who was popular with the Stan Kenton band in the 1940s. Chrysler sold the Imperial Frank Sinatra edition, this could have made a minor splash as the Vido Musso edition. They would have sold at least 9 or 10. I’d never heard of this brand before. Since they are cheap, ugly and tough, they will probably do well over here in the USA. I have only seen a couple of SsangYong‘s in the wild. The first was when I lived in Panama in the mid 90’s. Panama was a great place for car-spotting because you never knew what was going to fall off a ship transiting the canal. Pretty much it was an anything goes environment as far as cars were concerned. 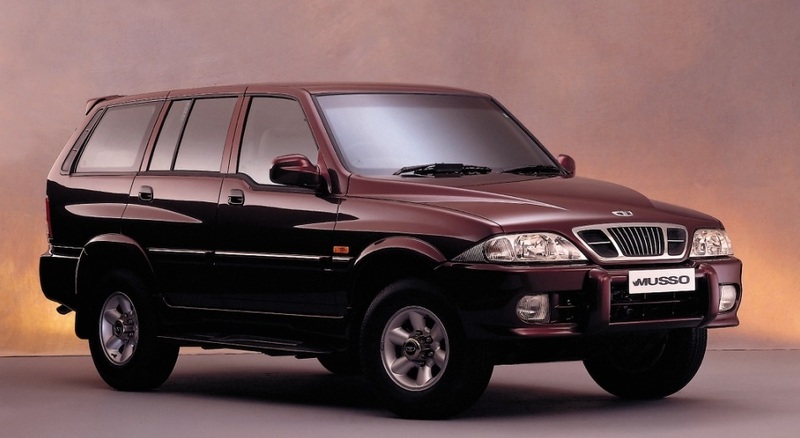 The SsangYong Musso seemed quite the joke at the time, although I will confess that it looked fairly solid. Still, that name made it clear that the makers didn’t have the (North) American market in mind. The second I spotted here in Dallas Texas, only a year or so ago. It was a large black sedan motoring along through downtown traffic. I noted the maker’s name on the back but didn’t register the model (it seems that it must have been a Chairman). I also seem to recall that it was sporting Texas license plates, although I must have been wrong about that. I would love to know the story behind that car. The diversity of automotive fauna on the planet never fails to amaze me. The original Rexton was good looking compared to the new one. It looks like a ’60 Valiant with gigantism. Re the Musso-These were extremely popular in Korea for a long time and were, IMHO, solid units. They are getting thin on the ground now, but that is more a result of no more parts support. 20 year long 200-300,000 kms ownerships were common, and this is in a country where anything other than the latest and greatest is a social embarrassment. Good examples can be had for a song here, and are good value used. I know someone who got rid of his after 20 years, it was driven to the junk yard, running fine. Needed an AC rebuild (essential here, especially right now) worth more than the car, so away it went. Many of the AC parts were unavailable. I am sserious. 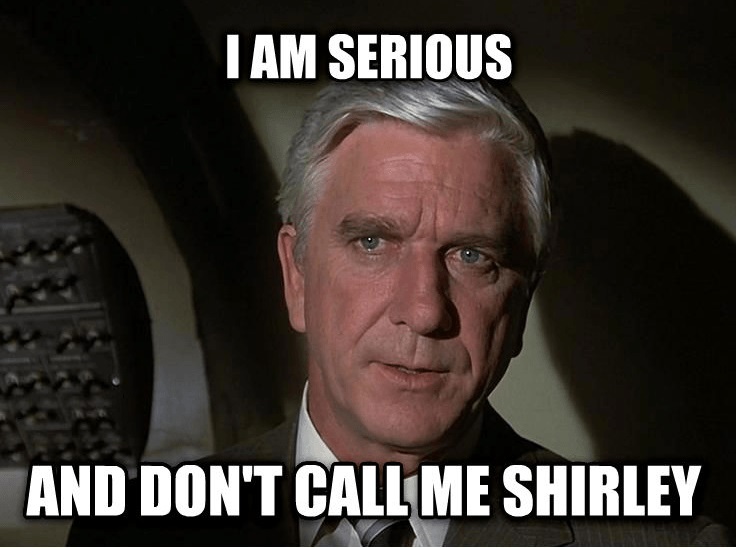 And don’t call me Sshirley. 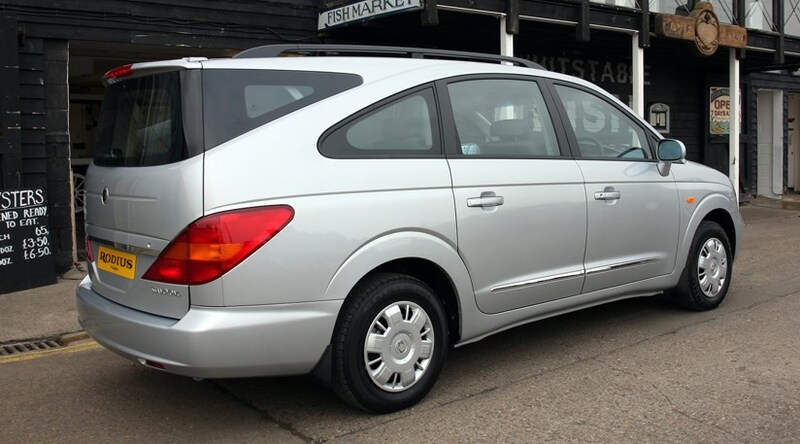 I see someone posted the Rodius, which is the only Ssangyong I’m familiar with. Someone just needs to remove the “r” on one of these. I think familiarity may in the end breed acceptance. Or if one somehow ends up on a popular TV show in a thoughtful and well scripted role about a meth manufacturer/dealer. Seeing them in Iceland (thanks for the link!) the first time was jarring, by the end of the stay, although not outright common, they were no longer as unusual and worthy of a befuddled stare. The black and red seats inside this one at first really reminded me of a very similar color scheme available in the early SLK series and also the AMG E55. As you said, elements of it, especially the front, are not nearly as outre as other elements especially on other models in the range. They get the award for distinctiveness though, I haven’t seen anyone on here say that these all look the same as everything else on the road. Now here’s a hoopy frood. Really knows where his towel is. I cannot for the life of me understand how manufacturers allow for either engineering rip-offs or using another manufacturers branding/logo’s. I am not trying to create a political flame up here at all. Just saying. That would last about 10 minutes here in the States! Most Japanese brands used ripoff engineering and still sell just fine in the US. We had a few Mussos here as well in the mid-90s; for whatever reason they always looked better in dark colors. The local importers didn’t sell very many and I think they’re all gone now – like Daewoos, they didn’t hold up well over here. 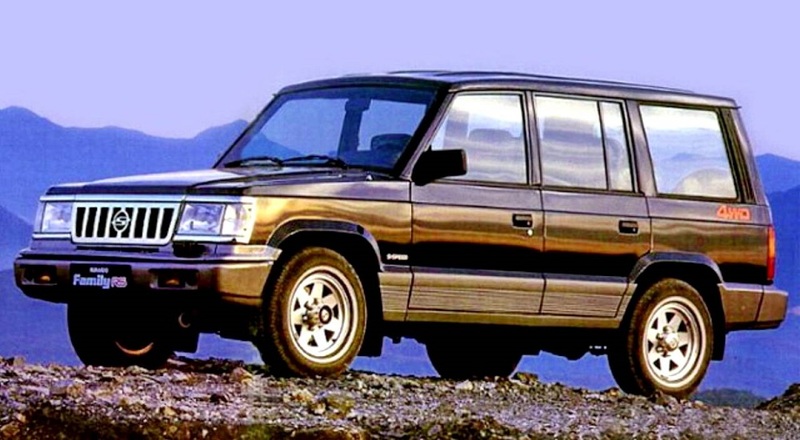 The SUV called the Family shown in this article reminds me of the original ’80s Isuzu Trooper. Korandos were also sold here briefly in the mid-80s. Who was SsangYong’s lead designer? They really produced some strange-looking (and in some cases hideous) vehicles. It’s a bold strategy, putting the headlights of a ’92 Skylark on an SUV. Let’s see if it pays off. 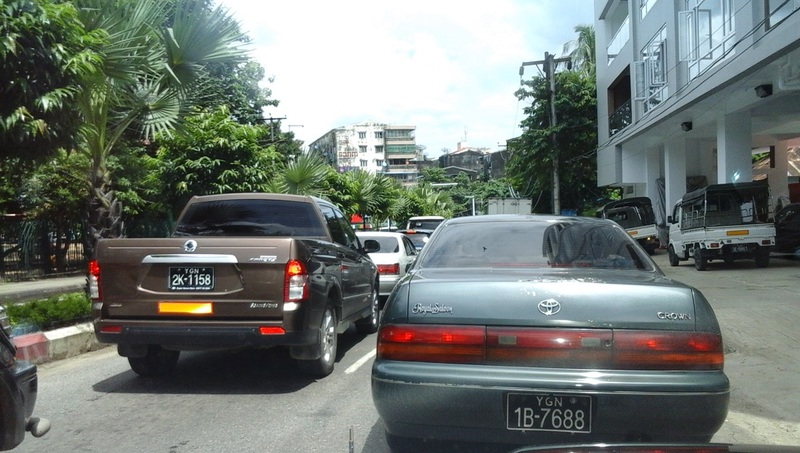 Is that boxy SsangYong related to the Mekong 4wd? They look pretty similar from memory. I used to see little one box minibuses all over Vietnam which had Mercedes badging but looked obviously non-Benz. Eventually I twigged when I saw one with Ssangyong badges somewhere else. Cambodia? It suddenly made sense as I was familiar with the Musso. Later, Sprinters became extremely common, presumably locally assembled. I recall taking my Beetle to a grumpy old mechanic in Scotland. A Pakistani guy had brought in a Musso, and Mr Grumpy was telling him the bad news ($$$) and berating him for buying it. Mr P – It has a Mercedes engine! Mr G – Aye that’s the only decent hing aboot it, the rest is just shite. Get rid o’ it! 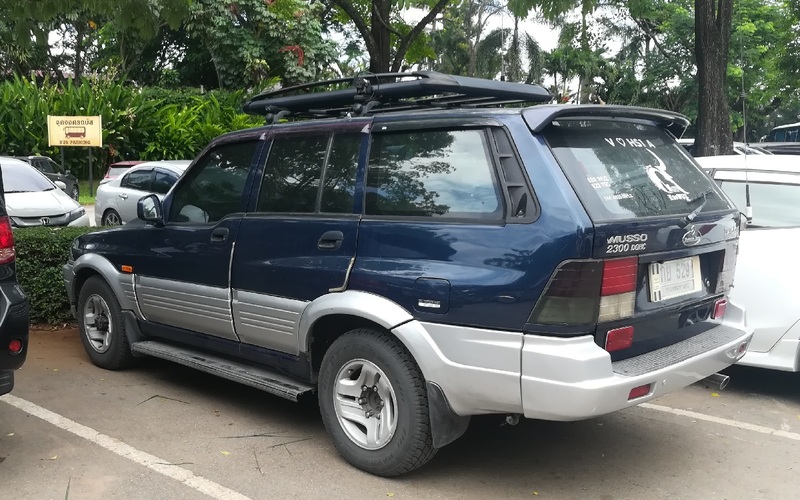 The only reason I know who the heck SsangYong is is that in one season (series) of “Wheeler Dealer,” Mike Brewer used one as transport, prompting me to look the company up. I think it was a Kyron (which, incidentally, shares its door handles with the 2003-2009 Kia Sorento). And I’m amazed Mercedes-Benz let SsangYong put its logos all over the vehicles. I like your take on this somewhat below par brand. I remember the Rodios being headlined in CAR as “Odios with an R”. There are enough better cars to buy second hand than buy one of these. We get the new Tivoli, which looks like a Walmart Evoque in the dusk with the light behind it, and the Rexton, a bit. There is a Rexton living opposite us in fact but the less said about that chap the better. 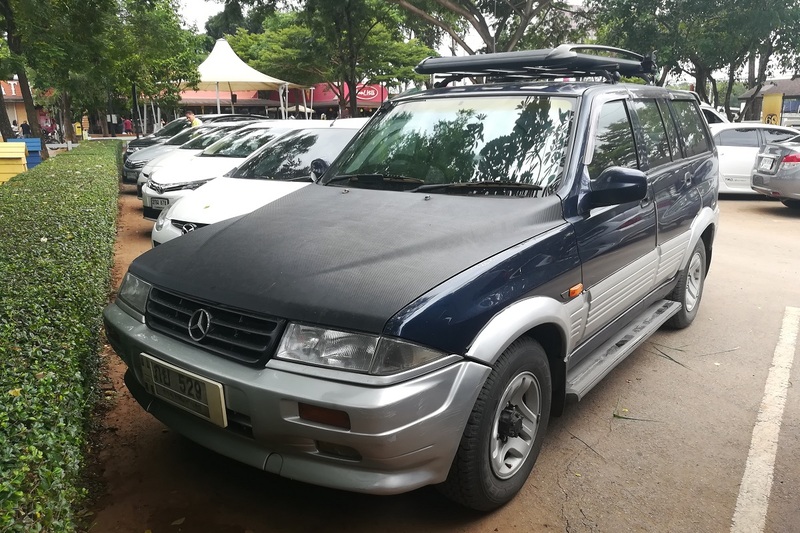 One of the potential (and no stronger than that) spin offs of MG-Rover pairing up with SAIC was that the Rexton would appear as an MG, and a mock up was prepared with an MG grille and revised bumpers. We were spared – every cloud has a silver lining. Thank you for all these great reactions from the CCommunity! I don’t have very good internet where I am at the moment (south of France), but CC finds here *don’t* usually include obscure Korean SUVs. So here’s hoping I find something post-worthy. But even a CC on the Rodius (one of the most egregious SsangYong models) would best be handled by another contributor. One SsangYong CC post is a misfortune, two would look like carelessness. No, I doubt this one can be topped, Mr Fouquet. I meant to add to my comment above that this was a delightfully funny piece. China BAIC clones a G Wagon as BJ80C. Instead of technology transfer, Chinese copied and domesticated its G Wagon. This drives German crazy, but Benz is now too dependent on its sales in China, and BAIC is actually a Benz partner in China. I saw my first Musso in the early 1990s when it was introduced to New Zealand, intially through Mercedes dealers. The exterior was quite different at the time and I didn’t mind it – it was by Ken Greenley, who co-styled the 1988 Aston Martin Virage among other vehicles. The interior was ok but I recall it had a lot of really hard surfaces. The first Musso I saw was displayed alongside new Mercedes sedans, which made it obvious it wasn’t nearly as well designed or built as them, and I remember wondering why Mercedes was selling something so at odds with their image. But the relatively low price and Mercedes mechanicals must have proved attractive as the Musso sold well enough for SsangYong to set up their own dealerships. Over the years SsangYong’s fortunes in New Zealand have been up and down, but in the central North Island where I live, they’ve always been common sights in rural areas – especially the ugly Musso pick-up, and considerably uglier Actyon WorkMate pick-up. There are several Actyon WorkMates in my local town, along with a few Rextons and new model Korandos. An acquaintance bought a new Korando last year and is quite happy with it. One reason for SsangYong’s ongoing popularity among farmers in my area is probably due to one of New Zealand’s most well-known All Blacks, the late Sir Colin ‘Pine Tree’ Meads, who was a farmer and a SsangYong spokesman for years until his death. Given this and the perceived reputation of the running gear (whether Mercedes or not), I can understand why plenty of Kiwis – especially farmers – buy SsangYongs. Well, the practical ones anyway. Why anyone would buy an eye-searingly fugly Rodent, sorry Rodius, is beyond me. The Musso started the story, and given a new Musso is due here this year, plenty of people seem to be still reading the story. These things rust like crazy, most Mussos I’ve seen had rust spots everywhere, including the roof. Even the frame is prone to rust-through and fatigue cracking (suspension A-arms mounts falling off, etc.). Kyrons were somewhat better, but the frame still rusted very rapidly. 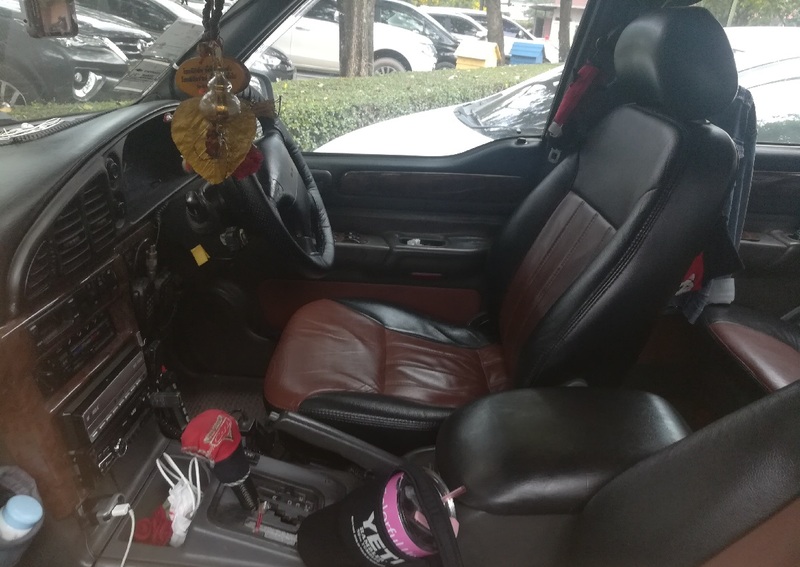 You may think that in the XXI century it is almost impossible to build a body-on-frame vehicle that would fall apart from normal use (not some heavy off-road exercises, mind you), but it seems that the Koreans (and their Chinese friends) from SsangYong managed to redefine that. There was a period in mid-2000s when they conquered a substantial share of the market with relatively high quality stuff, but very soon after they started to cheap out. The engine, while excellent on paper, was not perfect either – at least the 2.3 version was prone to overheating and blowing its head gasket routinely. Today the Mussos (and their TagAZ clones) are cheap as dirt, because basically no one wants them. I recall Car magazine harshing on Ssangyong in the 90s, The Rodius was truly hideous, making the Mitsuoka Orochi look good.